CYM works with many organisations around the UK to build their capacity as training centres through partnership delivery of Further Education programmes – Enable, Explore and Equip. By working together, many organisations and individuals have already benefitted through the provision of interactive, flexible and relevant courses that support the mission and ministry to young people and children in their region. Joining with CYM in a training partnership gives your organisation the opportunity to access and deliver quality training for your youth & children’s workers – building confidence and enhancing credibility within the faith sector. The ability to deliver and assess FE programmes locally at a reasonable cost. The ability to flexibly deliver training to suit your organisation. The ability to focus on relevant practical opportunities using the teaching material. The opportunity to join a network of Christian Children and Youth workers and participate in curriculum review and evaluation. The ability to deliver focused teaching and relevant assessment with access to mainstream qualifications and endorsements. A high quality folder of materials for students and tutors. Training and induction including a free recognised teaching qualification, along with administrative support. Robust assessment and administration processes that you can count on. Access anywhere course resources and assignment submission. Enhance your organisations partnership working and direct engagement with young people through delivering accredited QCF courses. Level 1 Award and Certificate in Skills for Employment, Training and Personal Development accredited by NOCN. Developed for youth workers or organisations involved in training young people and helping them to gain relevant skills for work, further study and personal development. 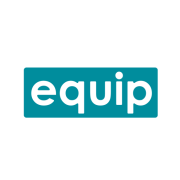 Build your organisation’s capacity as a regional provider of Christian Youth Work or Children’s Ministry training through delivery of Equip programmes. Level 3 Award, Certificate & Diploma in Youth Work Practice accredited by NOCN. Developed for everyone working with young people – either full-time, part-time or spare time. The Certificate is endorsed by the National Youth Agency for Youth Support Worker status. It can be completed by youth workers of any age from 18 onwards. The training days fit within a gap year, intern or apprenticeship programme. Level 3 Award in Children’s Ministry This course is for those working with children and their families within their community including churches as a paid worker, volunteer, gap year student or young leader. This CYM course will enable participants to gain skills and recognition while delivering and managing playwork in their own context. CYM offers 16 Continuing Professional Development (CPD) credit points spread over 6 units, achieved through a notional 30 hours of practice-based learning. How did you find out about CYM? We are interested to know how you found out about CYM and our great courses, so thank you for letting us know it worked for you. Which events / conferences / exhibitions do you attend?